It's about time that we presented to you the newest crocodile pattern trench leather The Joker Jacket. Here is the most modern looking as well as the most stylish. This is the Joker Trench Coat. Jared Leto wore it as he plays the role of super villain in the movie. This Joker Coat will give you the luxurious comfort, viscose is stitched inside. With the button front closure there is a simple peak collar, which is present in all the coats. 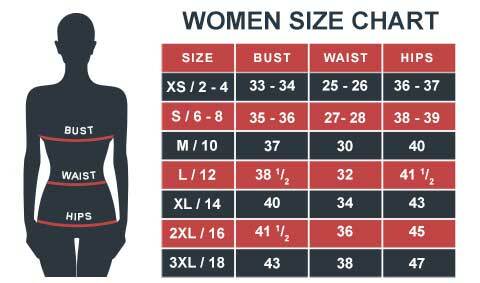 The accurate length and fit will guarantee you a great experience. Get yours today! The Architect of Anarchy is one of the most iconic villains of the Batman’s rogue gallery. And with the revival of Joker with Jared Leto in the latest Suicide Squad, the Cerebral Psycho is in the limelight once again. With his daunting laugh and niche acting, Jared won our hearts all over again. But complementing his prolific acting were his brilliantly designed outfits that truly depicted his nature and obsession towards crime and chaos. The Joker costume guide contains all the suits and attires the Clown Prince wore in the movie and also the acclaimed Heath Ledger and the Arkham Knight costume. Look how slim it looks. It just gives the impression that you would be walking like a penguin. But I’m glad that wasn’t the case. I can take proper steps and walk comfortably. 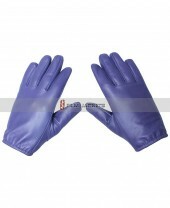 The pu leather is just right – not too thick or too weak in quality. This was in the collection for Halloween in the last minute costumes. So I was thinking to give this a try. It did arrive on the eve of the festival, and I couldn’t decide whether I should be happy or shocked. Fitting wise – it was just right. Comfort wise – it was very soothing. These two requirements gave me the satisfaction that it was worth the risk. It may not look efficient for heavy winter, but it definitely does. It’s cozy from the inside and not itchy at all. The leather is good enough to give me some warmth. The night is worse so I think I will wear it at that time. Halloween is still months away, but I’m already assembling the stuff I need to look like the new Joker. All I need is the coat and the cane. With the coat being delivered soon enough, no defects, I think my stress has lessened. Now all I need is the cane, and I am all set. I just returned it because I ordered a size larger but the texture was perfect. I saved my money sensibly and got a cosplay attire. Order this after reading all the reviews and it did not disappoint. The only complaint I would have is that it smells like crayons because of the PU leather. Hopefully that will fade with time. Oh, the fitting chart worked great too. So make sure you measure yourself before ordering and you won't have a problem with the size. They said that this site only cheats and gives false hopes to customers just because it’s an online site. Since I couldn’t find a joker purple trench coat like this anywhere at this price, this store was my only option. They were shocked at how fast the standard shipping is and to surprise them, I told them to open the package for me. They were so amazed by the quality that one of them placed an order for a jacket at that very moment. I got an email saying that it won’t be 100% accurate due to some issues. I still went ahead with it after they asked me about the order confirmation. Little did I know that this magnificent piece would take me by surprise! If the details were more prominent, I would have given it 5. 4 stars is for the maximum effort and the quick delivery. Knowing how expensive crocodile leather is, I think this is a perfect substitute for it. It’s a textured leather trench coat, in purple, and it looks very similar to the Joker’s. I don’t see any harm in it. I hope to get good feedback when I wear this on 31st. There are hundreds of fans that are going to kill me for what I’m going to say but it’s my personal opinion…THE COAT LOOKS PERFECT IN PURPLE. Why I said that? The reason is that I wanted it to wear every day when I go out or something whenever I feel cold or as a sense of style. It definitely has the crocodile scales look, so it makes it look even more expensive. It’s very comfortable to wear so I recommend everyone to go for it.